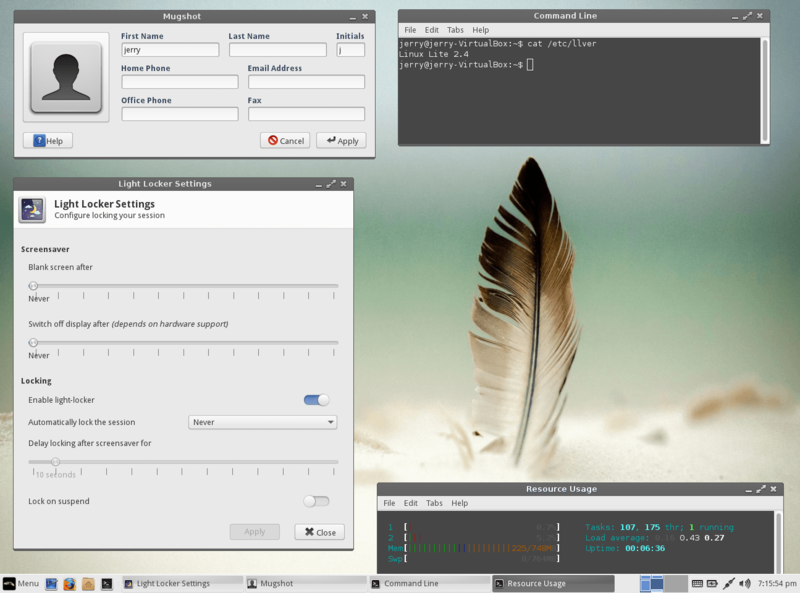 Linux Lite 2.4 Final is now available for download. With the release of Linux Lite 2.4 Final, we continue to evolve into a fully featured, light weight free operating system. Major announcement - there is now an upgrade path on Linux Lite from within the LTS series for each release, update your current install from now until April 2016 with one click, see below for details on this. There are enhancements to Lite Software, Install Updates, Lite Tweaks and Network Share Settings. Bountysource has been a major factor in our ability to enhance our software. By paying developers to help improve our software, we improve the quality and usability of our applications. Disk Encryption and LVM is now supported - see below for details. There is added support for exFAT, Android MTPFS, VPN connections and NTP to name a few. You get the latest Whisker Menu, there's a new default Terminal theme, and the Windows (Super) key now opens the Menu. I'm incredibly proud of our small, dedicated team, and what we're able to accomplish. As usual you still get the latest Firefox, Thunderbird, LibreOffice, Wine (via Lite Software) and Gimp. Added support for: VPN connections, Thunar thumbnail previews, Mugshot, exFAT, NTP, LVM, Android MTPFS, Bluetooth. Added: Reboot, Shutdown options to Live media. Live media now also defaults straight to the Menu. Fixed: syslog, auth.log not logging. Fixed: Disk encryption during installation now works. Fixed Backups popping up randomly. Latest version of the Help Manual. Windows key (Super key) opens the Menu (not in the Live version). Disabled Screen Off and Screensaver. Lite Software - Formerly Install Additional Software and Remove Additional Software, Lite Software combines all of these features into one tool. Install Updates - Now with an easy to follow GUI interface. Network Share Settings - Formerly Network Share Settings with 2 sub menus, this is now combined into one Menu link with a new GUI interface. 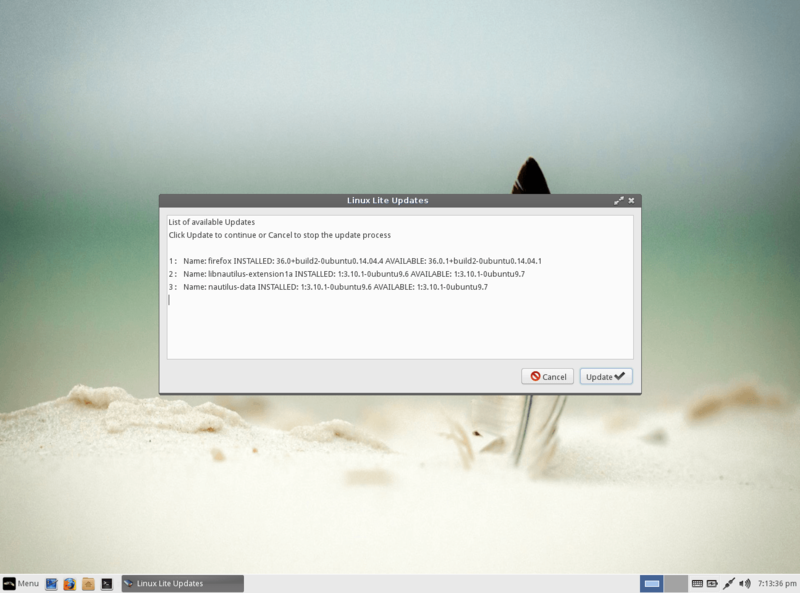 Lite Upgrade: You can now upgrade your Linux Lite install to the latest version. A HUGE thank you to misko for helping with this code, arguably one of the more complex pieces we have worked on, but now that the framework is in place, adding future code will be a lot easier. - Your current home folder config files are backed up before the upgrade finishes, that means some of the upgrade features that changes the way you have things, can be restored to the way you had it, eg. the terminal theme. - Menu order: eg. Network Share Settings drops to the bottom of the System Menu. From Linux Lite 3.0 onwards, we will create all of our Menu links which will prevent most Menu's from not showing alphabetically at times. For now, you can use Menu, Settings, Main Menu to reorder things but be careful, do not click on Restore System Configuration. Upgrading Linux Lite from one version in a Series to the next is simple. Each new Series of Linux Lite is released every 2 years, and then supported for 5 years, otherwise known as LTS (Long Term Support) eg. 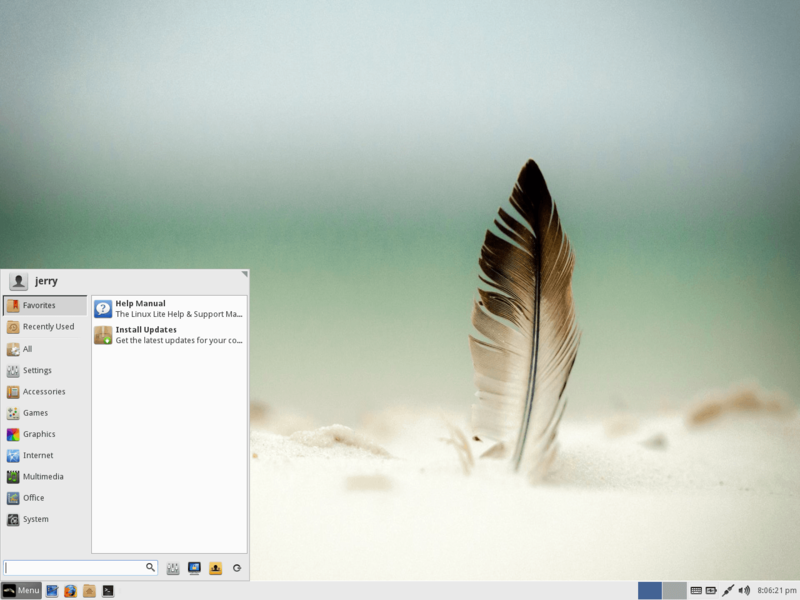 Linux Lite 2.0 - Linux Lite 2.8 is Series 2, Linux Lite 3.0 would be the start of Series 3. Upgrading can only occur within a Series. 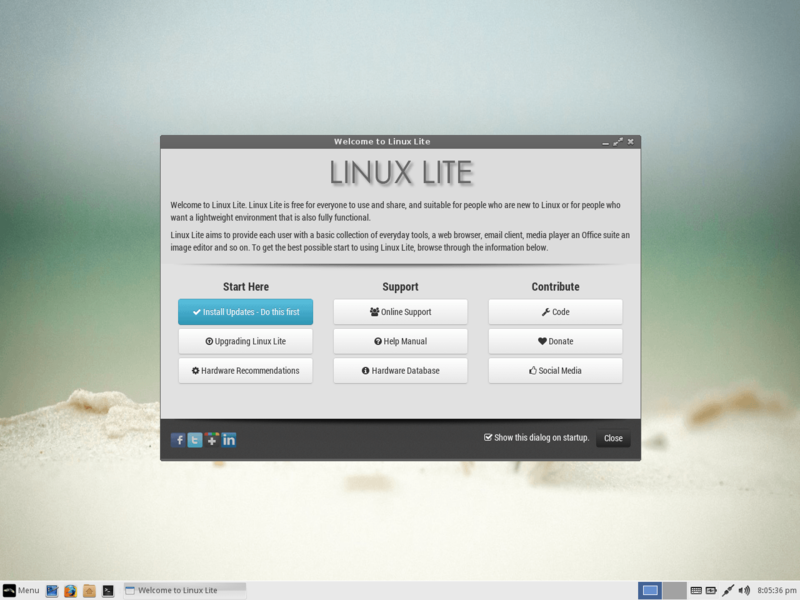 For example you can upgrade from Linux Lite 2.0 to Linux Lite 2.4, but not from Linux Lite 2.0 to Linux Lite 3.0. If you don't have Lite Upgrade installed open a Terminal and type in: sudo apt-get update && sudo apt-get install lite-upgrade-seriesX where -seriesX represents that series. Then to update from within a Series, click on Menu, Settings, Lite Upgrade. Follow the on screen prompts, reboot at the end of the process and you will be completely up to date on Linux Lite. Disk encryption and LVM should now work when selecting the Installation Type part of the install wizard. When you start your computer (post installation), during the boot process your computer will appear to stop booting, this is not the case. In the background it is waiting for you to enter your encryption password, the one you set up during the Linux Lite installation. You can either type your password blindly or press F4 to see the background text. Once you've entered your password your computer will continue the rest of the boot up process. Do not choose 'Encrypt home folder' during the install, this is a different option under the Who are you? section of the install and does not work yet. Alternatively, you can use the dd command: sudo dd if=linux-lite-2.4-xxbit.iso of=/dev/sdx bs=4M where 'x' is the letter of your usb stick. Please see Menu, Favorites, Help Manual if you require a more detailed explanation of this procedure. All Ubuntu 32bit kernels these days ship with PAE. Linux Lite does not provide a non-pae release. 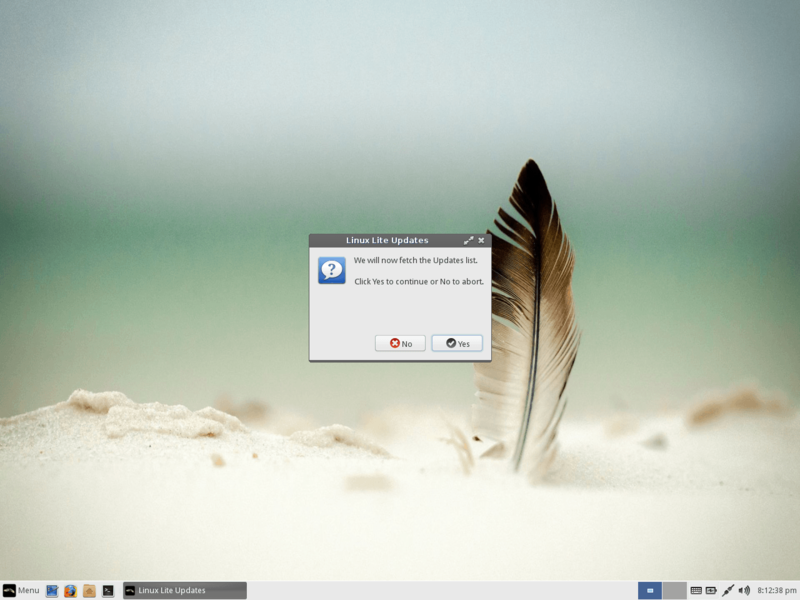 Premium Release Club - In recognition of peoples support for Linux Lite, we have launched the Premium Release Club. Awesome! Gonna download right away. Thank you! Used the upgrade but got an error at the end that the welcome screen couldnt start..but guess that is because i have it disabled in autostart. Also downloaded the iso file. 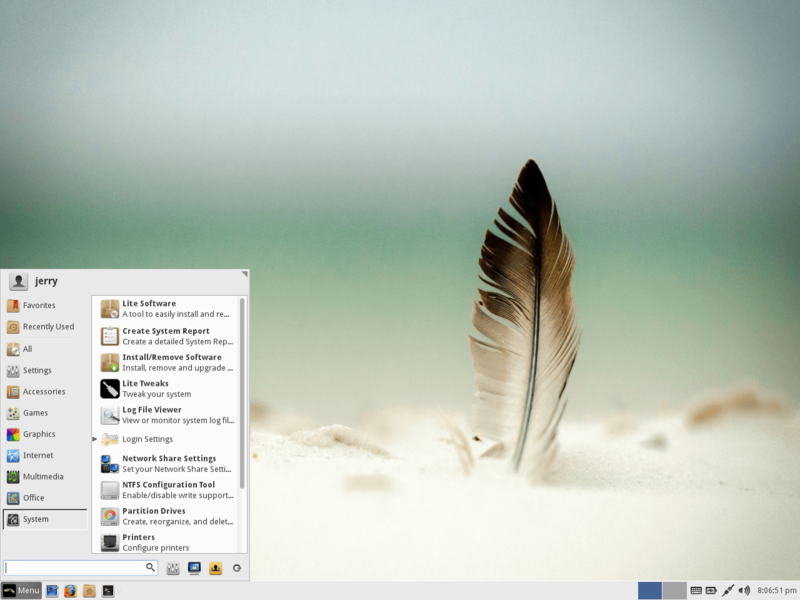 what I believe must be one of the best Distro's available for New, and Experienced users. Awesome news! Thank you guys a lot! Much appreciated! So why did you delete my earlier posts ? Running latest kernel and no hiccups to report. Rebooted already. Time to shutdown and move on to the Dell Touchscreen XT2 Lappy. To kool for skool. Man that was easy peasy. Beautiful work ! I appreciate all the hard work that goes into LL. The theme is nice and clean. Once again, hats off to the development team. Lite Upgrade worked without a hitch! ok so i used the Lite Upgrade, which is cool and it worked, it saved all my files and setting, etc. But I ran into one problem tho and it's with using Lite Software. ok so i click on Lite Software to open it up and it asks for my password, so i type my password in and after that instead of getting a popup of Lite Software, I get a popup of Updates Sources and it asks me if i want to update my software sources yes or no. If i click yes then it runs the process of what Install Updates would do. I don't know if i did something wrong or if Lite Upgrade broke it, but i thought you guys should know. Exactly right. This ensures the latest packages are presented.